Which are the best hair straighteners in the UK right now? We decided to ask the people who might know the answer: People who’ve owned and used their straighteners for at least 6 weeks or more. The top 10 we came up with are the hair straightening irons that will quickly and easily make your hair hang straight with a glossy shine. These essential beauty styling tools are designed to glide effortlessly through your hair. And they have precise heat settings to cope with shorter, finer hair right through to longer, thicker hair. Click on a link to go the information of your choice. 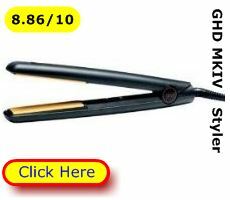 We say you don’t want a cheap hair straightener, what you want is the best hair straightener at the cheapest price. 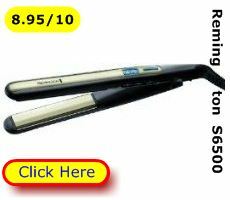 Here are the 7 hair straightening irons, most highly rated by their users. 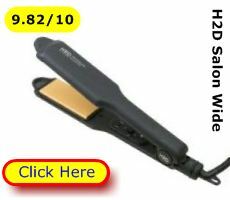 The H2D wide hair straightener is a salon professional styling tool and equally good for use at home. 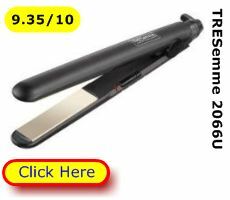 If you are after a bargain check out the Remington S3500 or TRESemme 2066U straighteners. Each of these models has the precise heat settings to cope with different lengths and textures of hair. Each model has ceramic heating. That means a constant heat across the hair ironing plate. 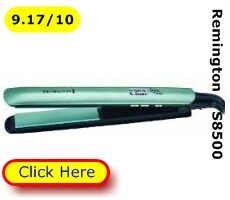 That is very important if you are trying to straighten long hair and avoid ironing in a crimp or wave. You’ll also see that some of these hair straightening irons have ionic technology. That means, if you have fine hair, they can help counter frizzy or fly away hair. 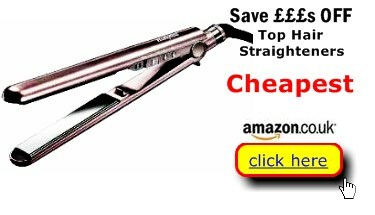 And some of the top rated straighteners also have wider plates. That’s really useful if you have thicker or long hair. 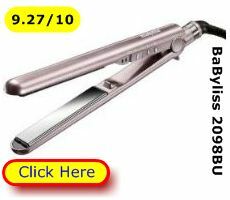 It helps you quickly and precisely iron along a tress of hair, locking in straightness and shine. 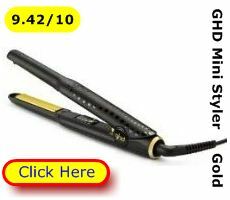 Its precise heat settings and slippery hair irons that make top rated hair straighteners effective. We found 3,000 straightener owners who had used their hair styling irons for 6 or more weeks. We asked them to rate their Straightener out of 10 for performance (the power to fix a straight tress and leave hair healthy and shiny), ease of use and overall value for money. *Price at time of publication – could be cheaper now! 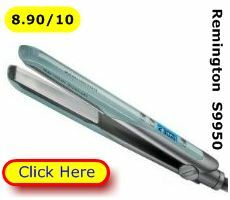 Check our cheap hair straighteners page now. 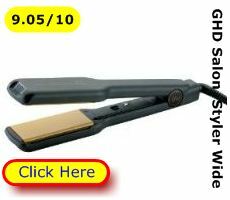 **Overall Users’ Satisfaction Rating for effective straightening or styling, ease of use and value for money. If you have fine hair you may find a lighter touch heat setting effective. On the other hand if you have long hair – especially long, thick hair you will benefit from higher heat settings (and wider hair ironing plates). Heat settings on the best hair straighteners vary from around 150*C up to around 230*C. Hair can withstand these temperatures (and dry with a healthy shine) because straighteners are meant to be used with deliberate, smooth strokes along a tress of hair. Wider hair ironing plates can benefit people with long and/or long and thick hair. The wider plate irons a bigger area of hair to quickly dry and fix the style you desire. All these hair styling irons have the sure touch of precise heat settings to deal with different hair textures from fine to thick. Their slippery hair ironing plates will easily smooth away waves and erase crinkles. Or maybe you want to put a wave or crimp into your hair. They’ll do that, too! 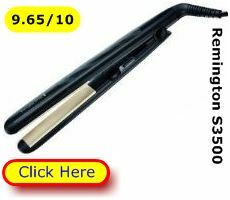 The overall best buy is a tad pricey, but it is a salon professional quality straightener. The others can be found at a very reasonable price and delivers almost the same benefits.